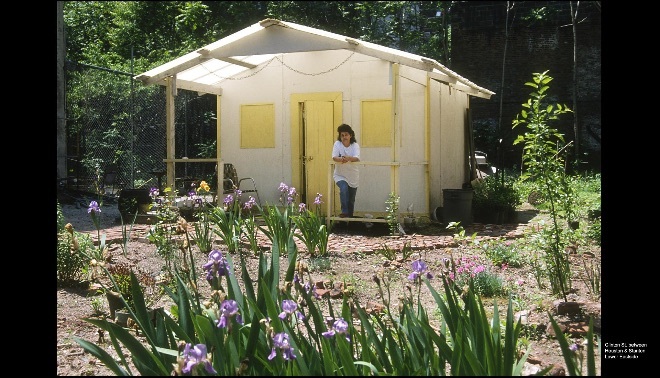 Casitas are replicas of traditional Puerto Rican wooden houses where neighborhood residents gather to farm and socialize. 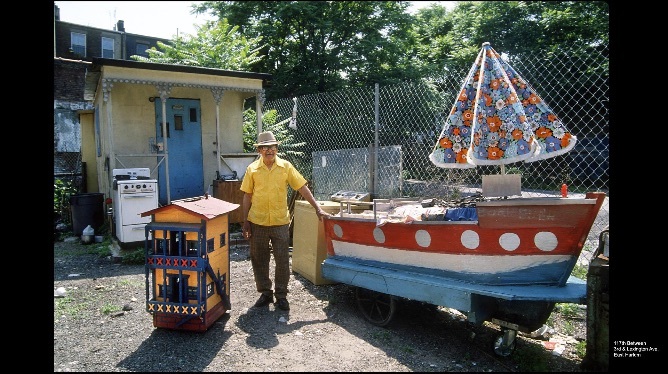 LAS CASITAS: OASIS OR ILLEGAL SHACKS? 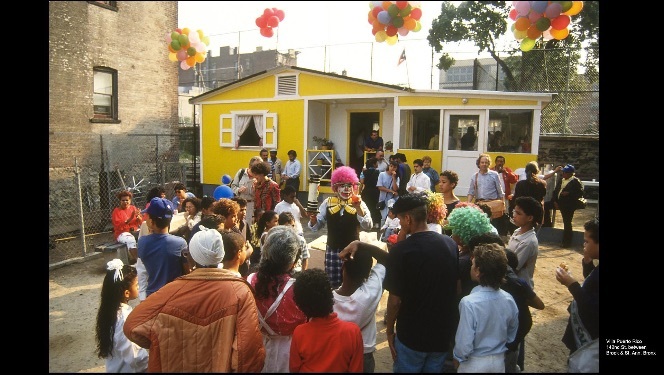 sponsor: Bronx Council on the Arts - Betti-Sue Hertz, February 2 - June 30, 1991. 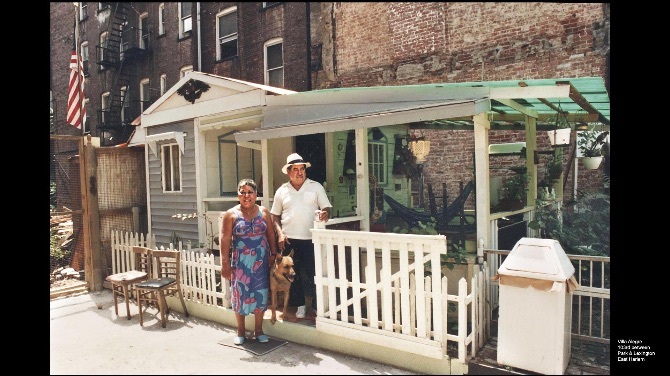 Close to 100 casitas were built throughout New York City (most exist near community gardens) very few remain today.